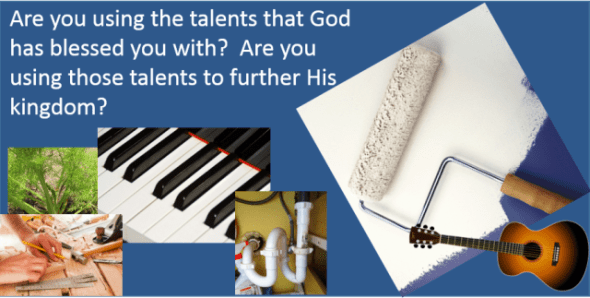 Tell us about the gifts and talents with which you have been blessed. For e.g. See list below. Type all that apply in the message filed at the bottom. If you do not see your special talent listed, please type it in the message field at the bottom.